Eminem and Elton John Speak Every Week! 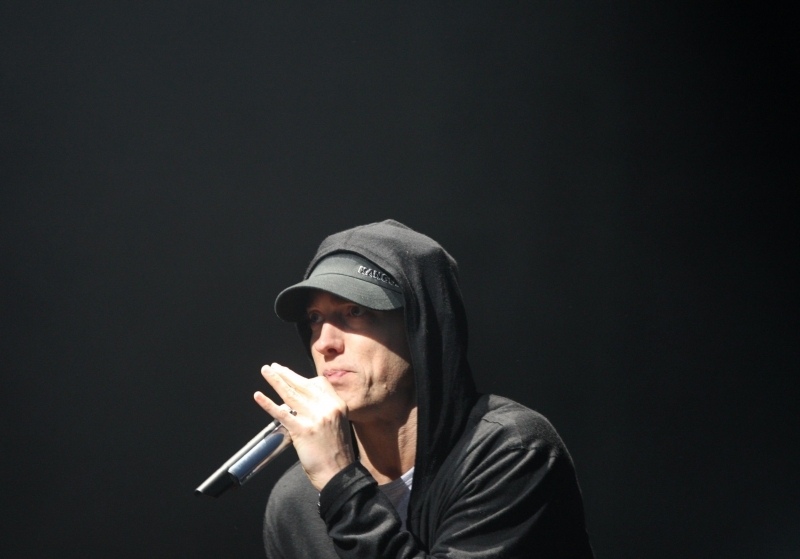 Eminem says Elton John calls him “once a week” to make sure he’s steering clear of drugs. The Stan hitmaker first reached out to the music legend at the height of his drugs problem and Elton helped him kick the habit. And the pair have kept in contact ever since. “Elton John calls me once a week,” the hip-hope star tells Spin magazine. “He used to tell me stuff like, ‘You’re going to start seeing certain things you’ve been overlooking’. And it came true. I’d walk around like, ‘Damn, that tree does look crazy, look at all those leaves!’ Things I didn’t notice when I was f**ked up. Eminem & Rihanna's Brand New Music Video!